Kia announced Thursday they would join sister company Hyundai and partner with Assured Performance to certify collision repairers. 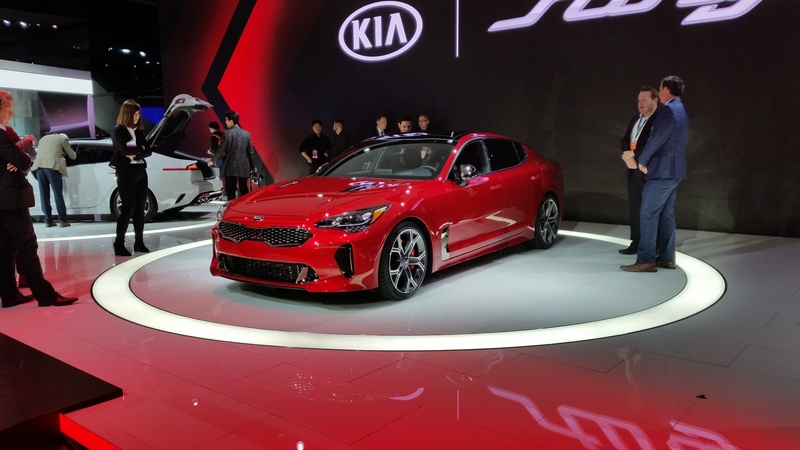 “Our commitment to our customers starts when they purchase their vehicle, and this includes building a network of Recognized Collision Repair Facilities,” Kia service operations Executive Director Greg Silvestri said in a statement. Assured Performance operates under a “Certified Once, Recognized by Many” motto in which a shop which satisfies a set of training and equipment requirements can automatically represent themselves as certified by FCA, Hyundai, Nissan, Ford and now Kia (though at least some of these OEMs might request additional marketing fees). A shop fulfilling additional requirements above the Assured Performance baseline will have their Ford certification upgraded to one declaring them equipped to work on the aluminum F-150. 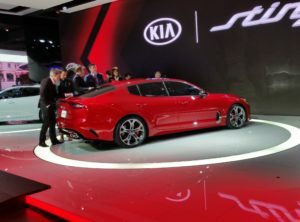 “The Certification program will ensure that Kia owners can choose a Certified collision repair provider that has the proper tools, equipment, training, and facility required to repair their vehicle to OEM specifications while maintaining the vehicle’s fit, finish, durability, functionality, and safety,” Assured Performance wrote in a news release. Existing Assured Performance shops can add Kia recognition to their list of certifications as of Oct. 23. Those interested in pursing certification should check out the list of requirements here. Not all of Assured’s 2,800 collision repairers might be certified for all of the company’s OEMs, and single-line dealerships do not qualify for other brands. Some shops might not want to pay additional marketing fees levied by a particular OEM, and a few others oddly just don’t want a particular OEM certification even though they’re entitled to it, according to Biggs. Interested in getting certified and attracting/retaining customers? Learn more during the SEMA Show in Las Vegas from Tim Ronak and Greg Griffith of AkzoNobel with “Which Certifications Are Right For My Business?”; Brandon Thomas of AkzoNobel with “Social Media Mania”; Jim Saeli of Management Success with “Sales Training For Estimators”; and Nicholas Schoolcraft, Phoenix Solutions Group, and Ryan Taylor, Body Shop Booster, with “The Time Has Arrived For Change: Lead with Service, Stop processing and Start Servicing.” The sessions are part of the Society of Collision Repair Specialists Repairer Driven Education Series Oct. 30-Nov. 3. Register here for individual RDE classes or the series pass package deal. Kia also recently announced it used an aluminum hood and tailgate for the 2017 Niro hybrid. Such lightweighting can require additional attention to detail and be jeopardized by a shop treating the substrates as though they were mild steel. Add in the complexity advanced driver assistance systems and other electronics bring to a vehicle repair and you can see why an OEM might not want just any shop fixing their customers’ vehicles. This takes on an added financial dimension when one considers FCA research that a bad repair — even by an independent shop instead of an OEM-branded dealership — can lead customers to ditch one OEM for a competitor. The Kia announcement Thursday followed General Motors’ declaration this summer that it would begin to certify collision repairer facilities, and both initiatives reinforce that the auto industry isn’t just sitting on the sidelines selling parts and writing repair procedures — it’s taking an active interest in how independent repairers treat its customers. This could change the industry’s referral dynamic and leave both insurers and OEMs attempting to direct customers to competing individual networks. That’s an interesting new wrinkle for the marketplace that might make it tougher for shops unaffiliated with either to compete and customers confused about which network has their best interest at heart.